I am still loving the Lady E. I know everyone is going to get very tired of me saying this, but it is true! I absolutely adore the colors and watching how they play against each other. I love feeling the yarn run through my fingers. 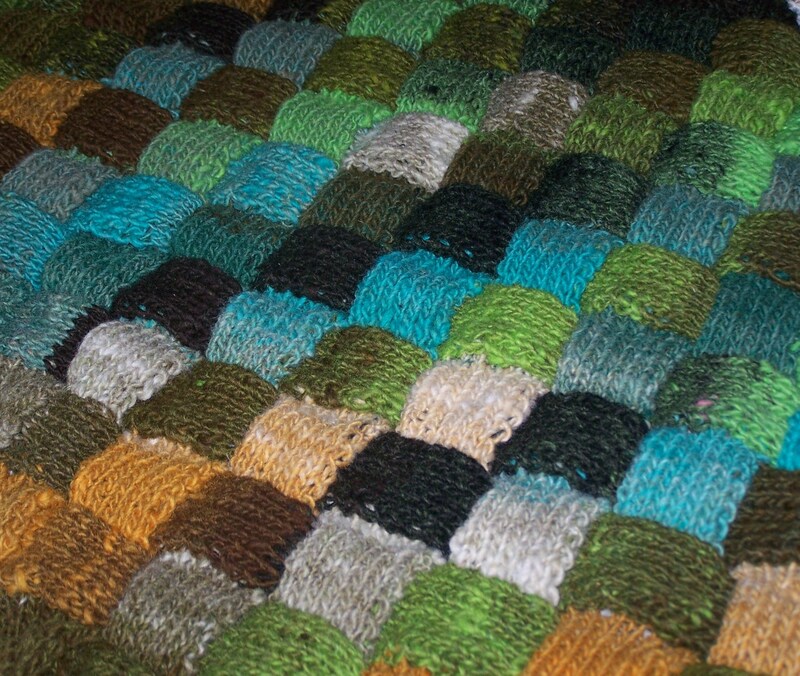 I know with every square I knit, I am creating something that I will love and wear forever. I think I have also decided not to put any fringe, I think I will wear it more often without it. That is what I am aiming for, something that I can wear all the time. With the range of colors, it will go with almost everything in my closet. oh, I love it! Project Runway Season 5 starts tonight. This is another show I really enjoy. Jay McCarroll, the season 1 winner, is one of the big reasons I like this show. 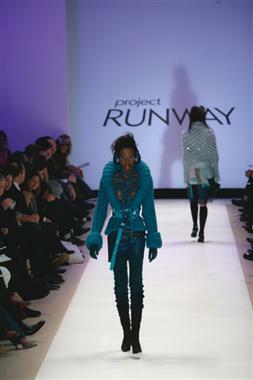 In his final runway for the show, he did a lot of hand knits that I would love to knit myself. How beautiful! 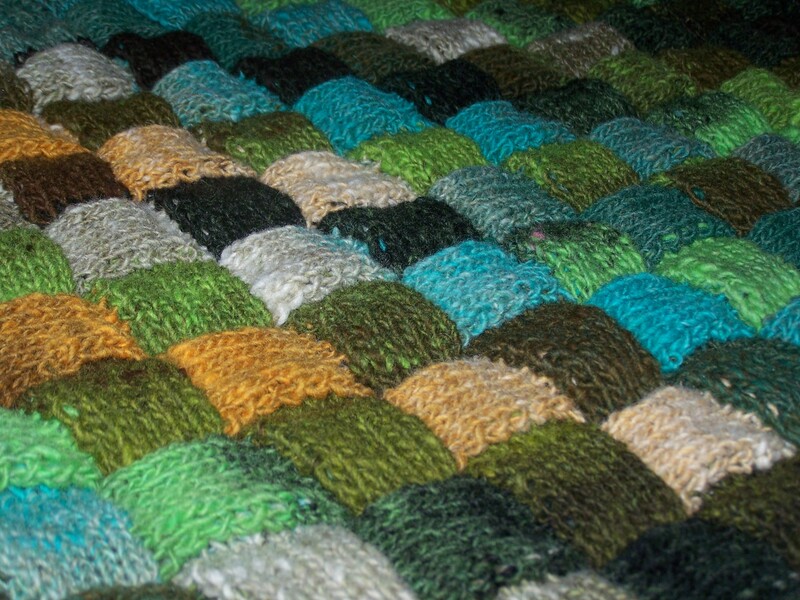 I am still watching, though, no other designer that I can recall has used knits, much less hand knits in their design. 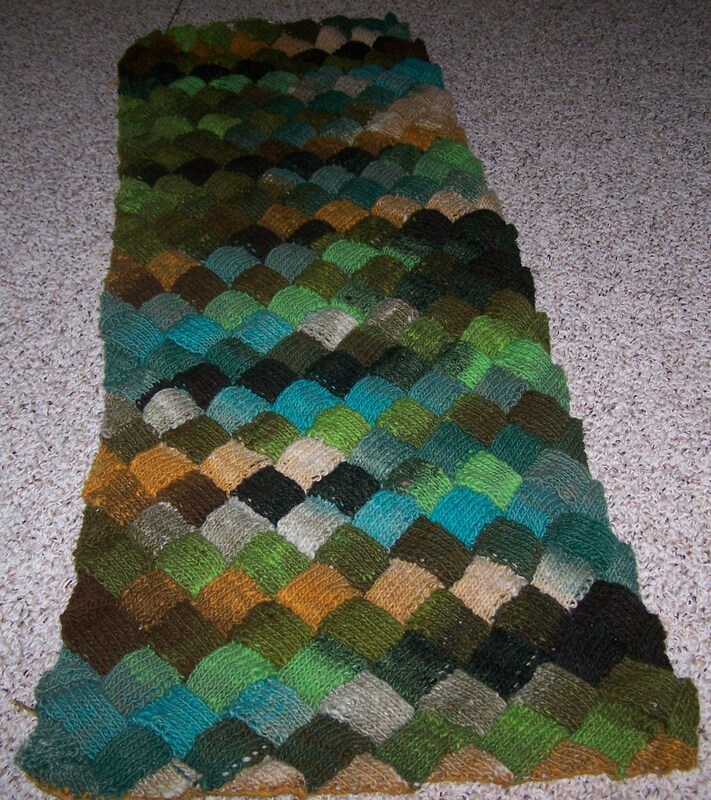 It is still entertaining, and I find myself looking at the designs I like the most to see if I can adapt them to knits. Alas, I have not been able to just yet, but there is a brand new season about to start!